Episode 24: "An Artful Attack"
*Yumeno Yumemi is changed to Peggy Jones. And FYI, her "stage name" (Lonnie Lenai) didn't exist in the original. Two today to make up for it, I suppose! Episode 25: "Too Many Girlfriends"
*Reika is changed to Rita Blake. *Poor Rikokayder loses her name in the dub. I feel sorry for Jupiter. *Another name lost: Jijii, the monster. *Kumada Yuuichirou is changed to Chad. *I'm being nice and not putting this under mistakes! Yuuichirou is a... homeless guy. A hobo I guess. Chad is apparently a rockstar with a bad case of stage fright. ?_? *Rhett Butler is changed to Hercules. *Remember back in episode 14/11 when Luna gave the computer a password? It's the same originally... apparently they couldn't figure out what they'd said either because it's changed again for the US dub. Original Luna: I'm from the Moon, and the Moon Kingdom princess is missing. It's our mission to find her! 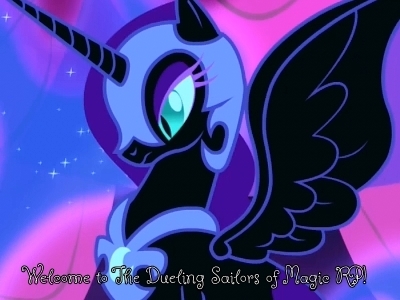 Dub Luna: Central Command has found a fifth Sailor. The four of you need to keep collecting the crystals! Episode 29: "Sailor V Makes The Scene"
*Jupiter's attack Jupiter Thunder Crash is called that and Jupiter Thunderbolt Crash. IN. THE. SAME. EPISODE. Doesn't anyone notice this?!? Episode 30: "A Crystal Clear Destiny"
*Last time I'll mention this: Jupiter Thunder Crash. It's pretty much the new official dub name, so I'll only mention when it's different from that. *They left in all the blood in the episode! Episode 31: "A Reluctant Princess"
*Princess Serenity is changed to Princess Serena. *Prince Endymion is changed to Prince Darien. *Venus's attack is confirmed as Venus Crescent Beam Smash today. *I'll go ahead and note that the episode was, again, pretty much a completely different show from the original script-wise. *dub!Sailor Moon: Cosmic Moon Power! No no no no no. NO! She's supposed to be silent! This isn't an attack! *This is gonna be a long one, guys. Here goes! Original Flashback: Evil spirits were taking over the earth and attacked the moon so they could get the Crystal (you know the one). The kingdom was destroyed, but Queen Serenity managed to seal away the evil using the Crystal. Unfortunately, the effort to do so killed her. Dub Flashback: Queen Beryl broke out of her prison and invaded the moon. Queen Serenity sealed her and her minions in Earth, but the kingdom was destroyed. The queen used the last of her strength to send the princess and her court to a peaceful era on Earth so they could enjoy normal lives. She had sent Luna and Artemis as well in case the seal that was containing the evil was broken. Episode 32: "Bad Hair Day"
*Also, fyi, remember how Usagi/Serena was having a bad dream? We actually saw what it was in the original; Princess Serenity trying to prevent Prince Endymion from going to battle. STUPID CONFUSING DUBS!! IT'S MORE CONFUSING THAN YUGIOH! AND THAT SERIOUSLY CONFUSES ME SOMETIMES DX! Episode 33: "Little Miss Manners"
Though one good thing actually happened. Episode 34: "Ski Bunny Blues"
*Blizzar is changed to Blizzard. These dubbers are... did Yugi ever figure out the opposite of "super special awesome?" *Janerin is changed to Janelle. *When the youmas are together, they're called the Zoyrin Geller. Not so in the dub. ... and that's it! Yay, Kaiba scared them into doing a little better! There are no substitutes to accept! Oh hey, a resort like in our thread! Dad: Oh, that's just the sulfur in the water, you'll get used to it. Mom: It's not so bad smelling like rotten eggs! AGGGGGH I MISSED DOING THESE SO MUCH! Original Mamoru/Endymion: "Mamoru? Someone else called me that before, but you have the wrong person. My name is Endymion." Dub Darien/...Darien: "Correction, Prince Darien, champion of the Negaverse."